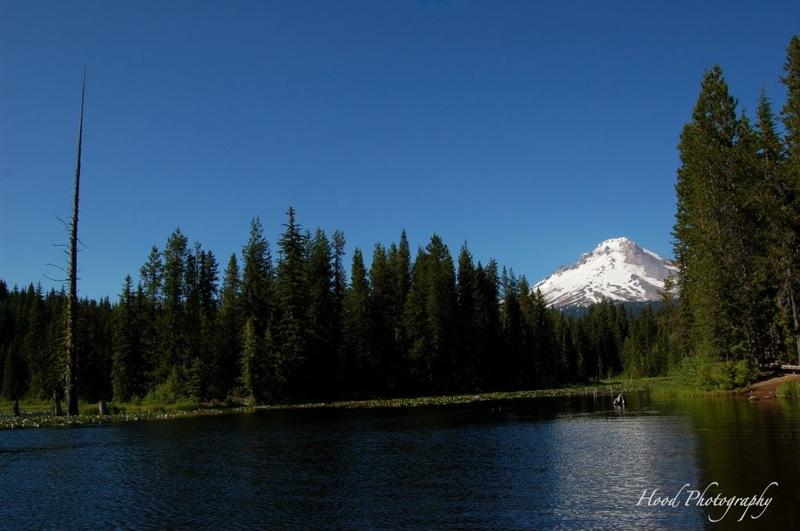 While many people may argue that the view from the dam at Trillium Lake is the best view (such as the one I use for my profile picture here on Blogger), I tend to disagree. While it is beautiful, I appreciate the view from the north side of the lake. The mountain peaks perfectly through the trees. The lily pads dot the surface of the water, and the old dead tree still stands its post at the top of the lake.